On August 8, 2018 the tourism board of Greece announced a concerted effort using police officers accompanied by scientists to root out the use of industrial methanol alcohol in making drinks for tourists. Reacting to the recently reported case of 17 teenagers who were treated for methanol alcohol poisoning after drinking on the tourist strip in the town of Laganas. This statement shows the tourism industry is aware of a drink called “bombes” being served in bars throughout tourist hot spots. “Bombes”, a potent cocktail, are advertised by bar owners and clubs to attract the binge drinking tourist who walk the strips of tourist hot spots. The problem is that unscrupulous bar owners have been spiking bombes with industrial methanol alcohol. Counterfeit liquor made with methanol is a health concern. 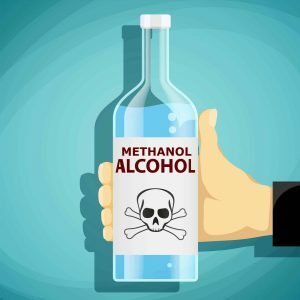 Methanol poisoning can lead to blindness, paralysis, organ failure and death. The recent case of the 17 British Teens treated for methanol poisoning after consuming an average of three drinks each at the clubs on the Laganas strip highlights the dangerous drinks that these bars are serving. The announced crackdown on tainted alcohol by the Greek Tourism Board did not mention the 17 teens, but rather pointed to the death of another British Teen last month who collapsed and died in the resort of Laganas on the Island of Zakynthos. Press coverage of this death is hard to find, not being mentioned by any press in Greece. This ongoing problem throughout Greece is also highlighted by stories of methanol poisoning stories over the last few years. There is the case of 20-year-old Hannah Powell, who became blind and suffered severe kidney damage after a night of clubbing on Laganas. The death of Valerie Jones, a 54-year-old Mother who died from alcohol poisoning after consuming wine on the Greek Island of Santorini. In letters written by tourism minister Aris Spiliopoulos to the Greek Interior, Finance and Development Ministers that were leaked to the press, he describes the drinks (bombes) as a menace that threatened to destroy the reputation of Greek Tourism. He suggested that the government not set up anti-bombe squads but rather expand control checks during all hours. Ms. Nova seems to hint at a shared blame related to the sale of methanol laced alcohol when she states. “It’s all part of our effort to discourage the wild behavior that, sadly, is often encouraged by tour operators in Britain. We’re not interested in quantity but the quality of tourism in Greece.” Although it is true that the young British tourists who visit Greece bent on becoming wildly drunk is a social issue that must be addressed, these tourists are in no way responsible for the dodgy booze that is being served throughout the Greek tourist destinations. The young British tourists are risking their health with this unprecedented wave of binge drinking; however, it is the Greek Bar Owners who are taking advantage and risking health and life by serving fake alcoholic cocktails. Consumers who buy a drink, no matter how many they buy are not the ones selling the poison alcohol. It is the greedy Greek businessmen without regard to human life who are making a quick profit by serving spurious liquor at the expenses of customer’s health and life. 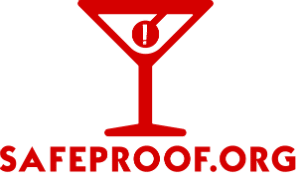 SafeProof.org is glad to see the announced crackdown to attack the problem of methanol alcohol being served to unsuspecting tourists on the Greek Isles, we are however not hopeful that this will alleviate the problem. The few stories that make the news are obviously only the tip of the iceberg. Many who partake in this new sport of Binge Drinking while on a Greek Holiday, awaken after a night of drinking and attribute their vomiting, seizures, blurred vision and other health problems to the amount they drank, not realizing that these effects are symptoms of Alcohol Poisoning from drinks laced with industrial alcohol. The Greek Government must take a more sustained interdiction action to stop the sale of methanol laced alcohol by clubs and bars who are preying on tourists. Tourists should understand that drinking alcohol on a Greek Holiday is a risky proposition that may cost your life. If drinking is a planned part of your Holiday getaway, it would be best to consider other destinations as dodgy booze in Greece does not seem to be the exception but rather the rule. In Mexico, where a spurt of tourist deaths and health problems were suspected of being linked to tainted alcohol, the Tourist Board would rather sweep the stories away then confront the problem. It seems that the Greek Tourist Ministry is taking the same approach. After years and years of questionable alcohol being served, the authorities announce a crackdown that will probably not lead to any indictments, seizures or closures of bars and clubs that poison tourist with dodgy booze. Any public announcements concerning fake poison alcohol by governments like Mexico and Greece is not beneficial to the massive amount of money that the tourism industry contributes to the wealth of the Country. For the governments of Mexico and Greece it is better that tourists not know of any cases related to failed kidneys, blindness, organ damage, paralysis and death caused by the poison alcohol served to tourists to make a larger profit.